I use material as the starting point of the design process, aiming to subvert the characteristics of a material to engineer new properties. Antithesis Table creates visual tension, combining contradictory states such as fragile and robust, hard and soft, transparent and opaque to create perfect harmony. By categorising materials and ascribing basic qualities such as ‘soft’ or ‘fragile’ we limit our imagination to use and apply them in different ways. 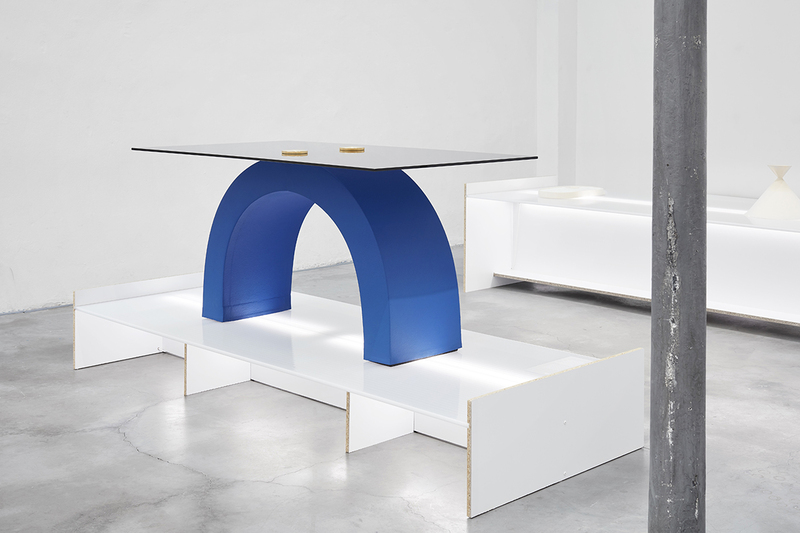 The Antithesis Table shows the possibilities of using contrasting materials and unexpected constructions, aiming to encourage us to question our common perceptions of the materials around us. 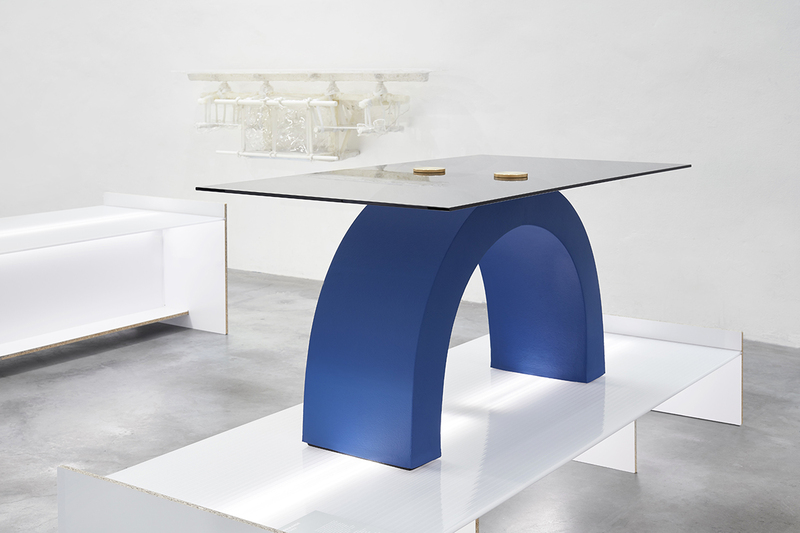 Antithesis Table was part of the MUTANT MATTER exhibition by Dutch Invertuals. Photography by Ronald Smits and text by FranklinTill.